Dr Dumiso Dabengwa ZAPU's President says that the economic meltdown in the country is getting worse each day. 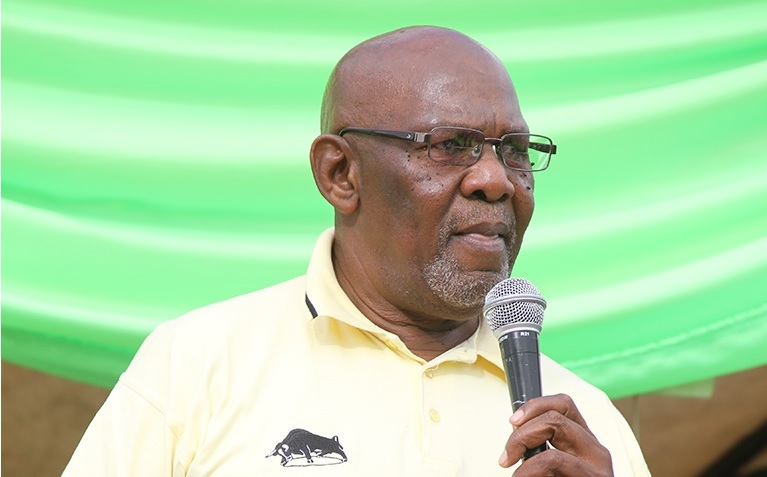 Briefing the party leaders on the current situation at ZAPU's offices, Cde Dabengwa said that he had received reports of deaths from starvation of people especially in the rural areas. A man starved to death in the Luveve suburb and was only discovered 4 days after because he was living alone. Life had become impossible for this man as it is for the thousands living ones at his age in the area. These reports come as the government has attacked NGOs claiming that they support opposition parties. The NGOs have been distributing food whenever necessary without political party affiliation being a pre-requisite for the deserving. They also come as people in the densely populated areas of Bulawayo talk of only Zanupf members receiving food packages especially maize. Some are said to be receiving double potions enabling them to send to their rural folks. The ZAPU president hailed the resistance by the people as the situation gets worse politically leaving no room to say much against the retrogressive political setup. Sporadic and spontaneous demonstrations that have occurred recently have triggered more vicious repercussions on suspected leaders or individuals. Leaders of the now non- complying war veterans have been humiliated by arrests amid accusations of treason. He also noted that Pastor Evan Mawarire has had to leave the country and is now afraid to return after open threats by the head of state. One is never safe if the President angrily talks about him or her. There are general and wanton arrests, threats and state sponsored counter demonstrations to intimidate once more the population. Comrade Dabengwa said that peaceful demonstrations or shut downs must effectively convey a message to the government but these have been received with the usual arrogance. This is unfortunate as it frustrates and infuriates the younger generation more and more. The youths may see no other option except confrontations of any kind. He reiterated ZAPU's position that it is only after the implementation of the genuine devolution of power that the country will start to develop. There is no other remedy. Mkhululi Zulu is Zapu Bulawayo Province Information and Publicity.